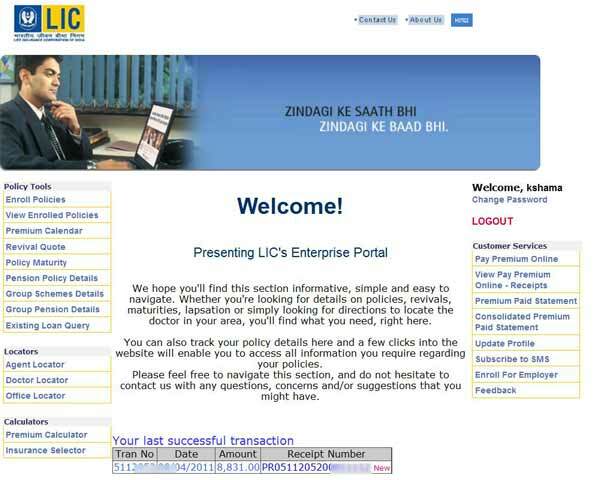 Why Pay LIC Premium Online? 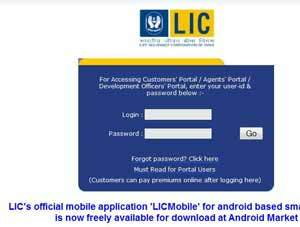 Now you can pay LIC policy premium online using your credit/debit cards or even using your online netbanking account. Registering is simple. Why pay cash or cheque for your premium? Beyond this you earn free reward points if you pay by credit card. 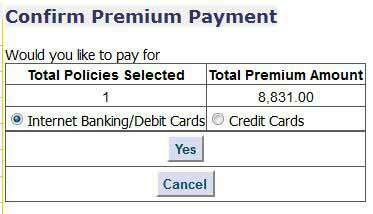 If you don't have credit card or netbanking facility you can use your friend's or relative's accounts to pay your premium online. The best way is to set a reminder in Yahoo or Gmail for premium payment reminder every year and you pay online in 5 minutes! Warning: Never pay premium by cash. Once my father paid cash but when he went next year to pay premium again, he was told that even last year premium wasn't paid and he did not keep the premium receipt too. Pay easily, even on credit! 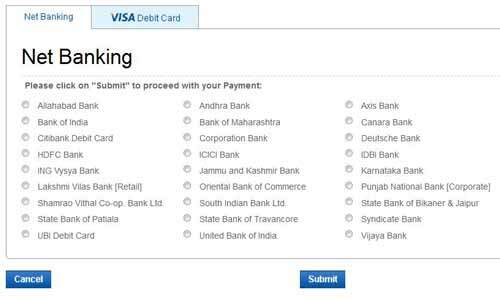 Now you have a valid registration with you as explained above and now you're ready to make a payment online. Here are the steps. 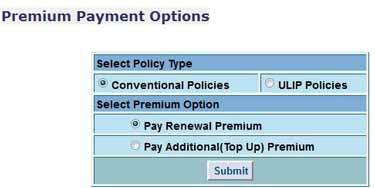 Now you're shown policies due for payment. If you've already paid them then you will shown an error message in red. 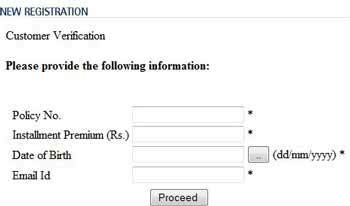 Now you're shown payment confirmation message which is presented to you if successful. 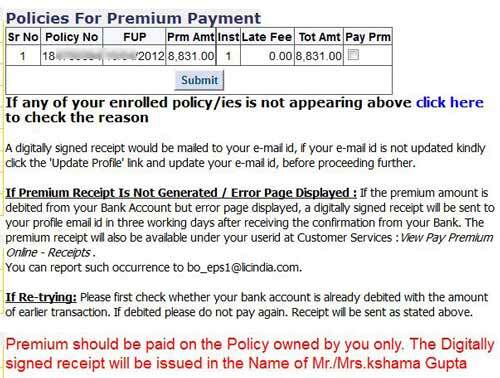 Check your email also for confirmation from LIC with the message "Premium Payment Receipt from LIC of India....".